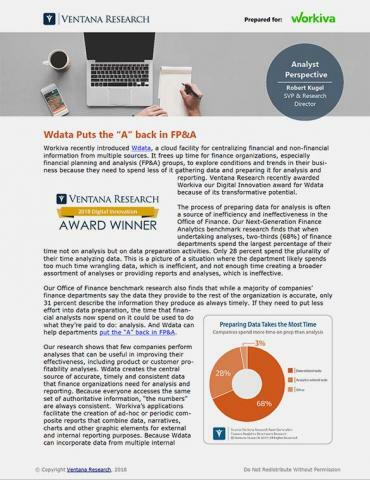 Ames, IA – June 1, 2016 - Workiva (NYSE:WK), creator of the Wdesk cloud-based productivity platform for enterprises, today announced that Gartner, Inc. has positioned Workiva as a Leader in its May 31, 2016 Magic Quadrant* for Financial Corporate Performance Management Solutions (FCPM). Gartner’s FCPM market includes solutions in financial consolidation, financial reporting, management reporting, costing and forecasting, reconciliations/close management, intercompany transactions and disclosure management. 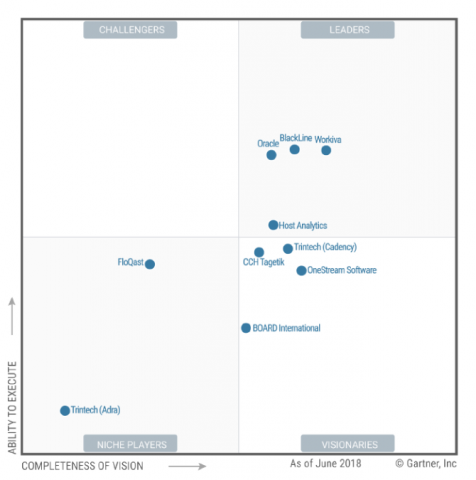 Gartner evaluated 10 different software vendors on 15 criteria and placed Workiva in the furthest position for its completeness of vision in the Leaders quadrant. The full report is available on the Workiva website at www.workiva.com/fcpm. Workiva (NYSE:WK) created Wdesk, a cloud-based productivity platform used by thousands of enterprises to collect, link, report and analyze business data with control and accountability. Thousands of organizations, including over 65 percent of the Fortune 500®, use Wdesk. The platform’s proprietary word processing, spreadsheet and presentation applications are integrated and built upon a data management engine, offering synchronized data, controlled collaboration, granular permissions and a full audit trail. Wdesk helps mitigate enterprise risk, improve productivity and give users confidence to make decisions with real-time data. Workiva employs more than 1,200 people with offices in 16 cities. The company is headquartered in Ames, Iowa. For more information, visit workiva.com. *Gartner, “Financial Corporate Performance Management Magic Quadrant” by John Van Decker and Christopher Iervolino, May, 2016.